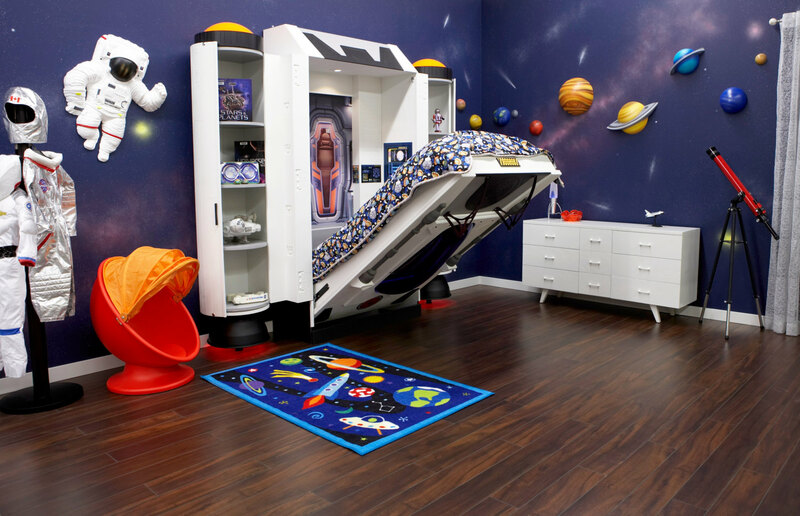 If only this spaceship bed came in a size that’s suitable for adults, too. 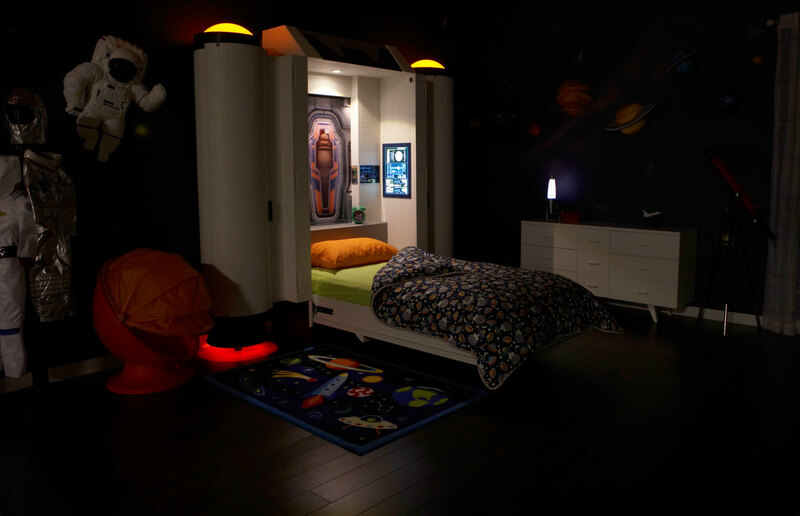 It’s hard not to be jealous of kids who get to sleep in what feels like their own personal astronaut pod called the ‘Deepspace Defender,’ complete with electroluminescent light panels controlled with an electric membrane keypad. 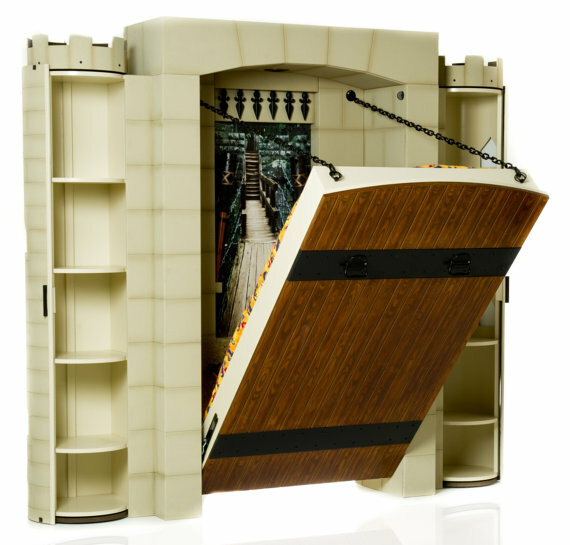 This fantasy murphy bed closes up nice and compact during the day, and at night, the one-hand crank mechanism that lowers the mattress to the floor is easy enough for kids to use themselves. 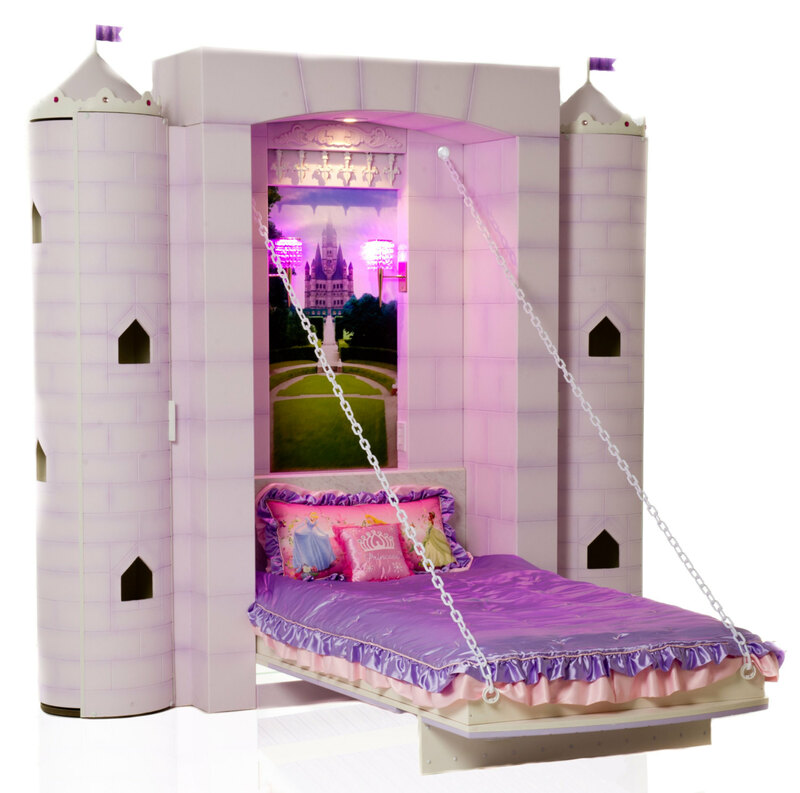 Two ‘engine pods’ on either side of the bed offer four shelves each to store toys, clothes and books. 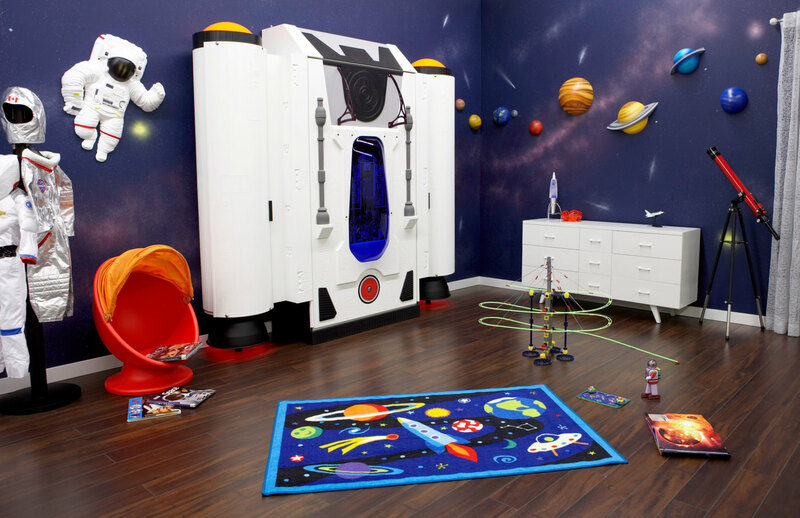 The manufacturer, FableBedworks, sells this incredible bed for kids and a number of other designs – including matching outer space bedding – on Etsy and their website. 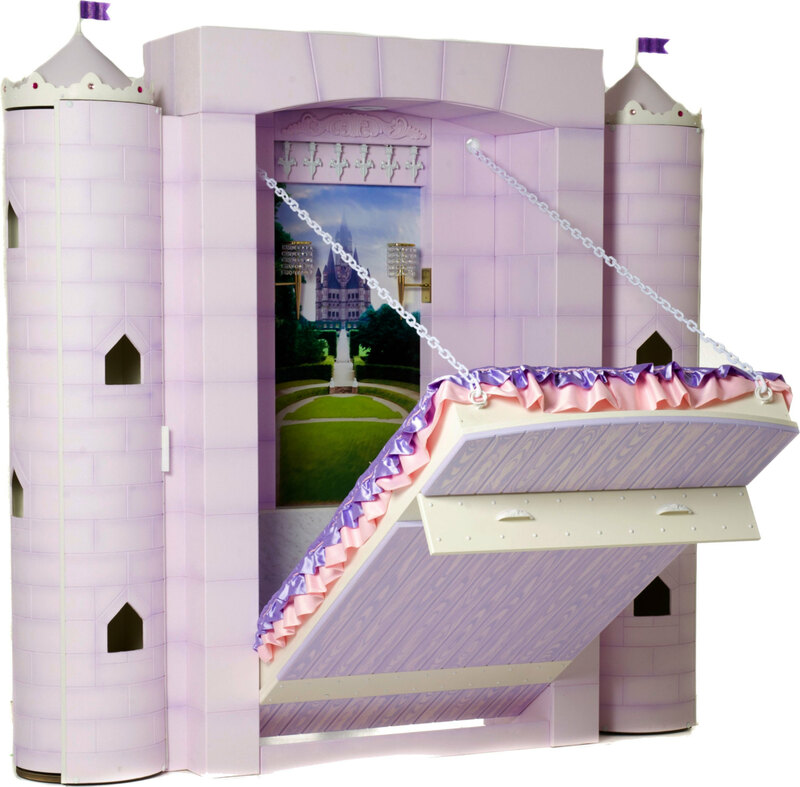 The fairytale-themed Penny’s Palace bed features a drawbridge and low-voltage LED lighting, and the Dragonslayer Stronghold bed is designed to look like a real castle. These three beds range in cost from $7,100 to $8,300 and fit a standard twin-size mattress, so technically, you could probably get away with snagging one for yourself if you sleep alone.